From Goodreads: Grace Parkes has just had to do a terrible thing. Having given birth to an illegitimate child, she has travelled to the famed Brookwood Cemetery to place her small infant's body in a rich lady's coffin. Following the advice of a kindly midwife, this is the only way that Grace can think of to give something at least to the little baby who died at birth, and to avoid the ignominy of a pauper's grave. Distraught and weeping, Grace meets two people at the cemetery: Mrs Emmeline Unwin and Mr James Solent. These two characters will have a profound affect upon Grace's life. But Grace doesn't know that yet. For now, she has to suppress her grief and get on with the business of living: scraping together enough pennies selling watercress for rent and food; looking after her older sister, who is incapable of caring for herself; thwarting the manipulative and conscience-free Unwin family, who are as capable of running a lucrative funeral business as they are of defrauding a young woman of her fortune. 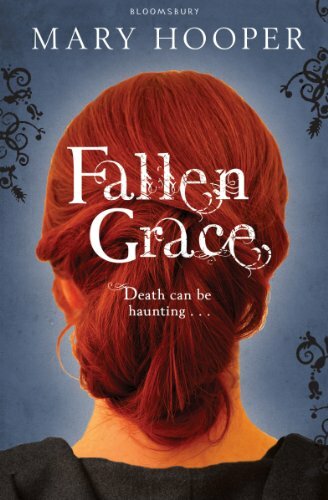 A stunning evocation of life in Victorian London, with vivid and accurate depictions, ranging from the deprivation that the truly poor suffered to the unthinking luxuries enjoyed by the rich: all bound up with a pacy and thrilling plot, as Grace races to unravel the fraud about to be perpetrated against her and her sister. 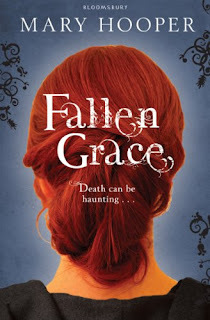 Fallen Grace by Mary Hooper - published by Bloomsbury 7 June 2010. I havent read the first chapter, but thank you for putting it on your blog. Love the sound of the book! I have this to review. I have no idea when I will get to it. I guess in the summer. I read a great review of it over at Rhiana Reads.